Have you ever thought about placing your organization in front of the most passionate Canadian food leaders? Advertise in the Assembly’s printed program and/or be part of our Friday Live Exhibitor Showcase. The program and the Exhibitor Showcase are some of the most valuable tools to reach out to all the assembly attendees from a variety of Canadians and international organizations and networks. 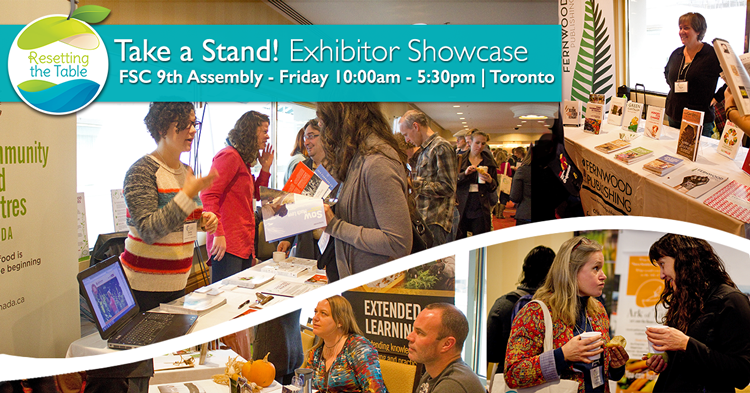 EXHIBITOR SHOWCASE | Friday 10:00am - 5:30pm Take a Stand! Don’t miss this incredible chance to showcase the stand you choose to take at Food Secure Canada’s 9th Assembly - Resetting the Table. The Assembly draws attendees from all walks of life including many of Canada’s food leaders from across the country. People flock to Food Secure Canada's three-day, action-packed Assembly to indulge their passions for building healthy, sustainable food systems and learn, network and build a movement and policies for sustainable food for all. Take a Stand, will place your organization in front of the most prominent and passionate food sovereignty and food sustainability leaders on Friday, October 14th, 2016. 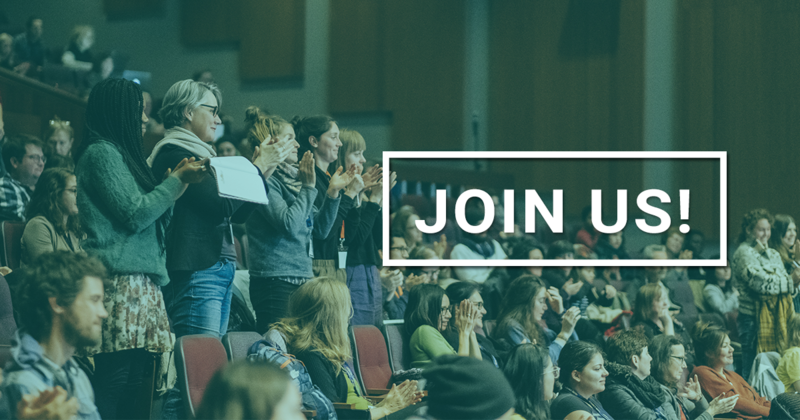 With the Assembly taking place in a city where the food movement thrives in every neighbourhood, this is absolutely a unique opportunity to showcase your organization as a key resource to the Canadian food movement. The 2016 National Assembly expects a greater and more diverse crowd than ever before: approximately 700 individuals from a variety of Canadians and international organizations and networks. Please note that no food can be sold at the tradeshow. You don’t need to pay for staff to manage the booth (though we do need people attending sessions to be registered). Friday 10:00am - 5:30pm Take a Stand! registration. Download the Tradeshow opportunities kit (pdf). Please note that the print program is now finalized. Therefore we cannot publish any new ad in the program. An extraordinary networking and learning opportunity! A place to show your commitment to healthy, sustainable food for all. Businesses and organizations who share our values and wish to be part of a national conversation about food are invited to advertise in our program. *We reserve the right to refuse advertisements promoting values or products contradictory to Food Secure Canada's mission to promote healthy, just and sustainable food for all.